Merchants who use Comm-bank's new Albert terminal can now install and run SplitAbility POS as a fully integrated native payments App. 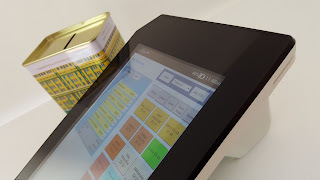 The new mobile POS solution can benefit hospitality businesses who seek to streamline their processes and improve efficiency. Business reviews & in house testing. What exactly does this mean for merchants who take card payments? A users guide to the Albert can be found here: Albert merchant user guide. 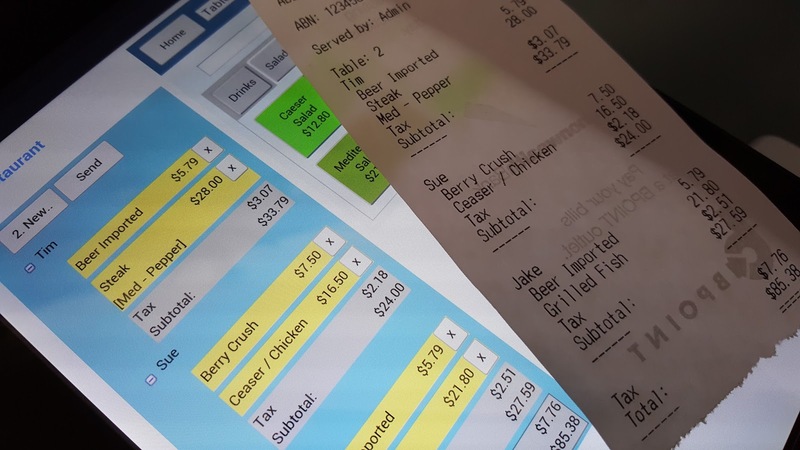 Businesses looking for terminal devices that offer more than just card payment processing may be surprised to find what can be done on the Albert. One subscription - unlimited devices. Take orders and payments from the same device. Sync with Apple iPads/phones, Android tablets/phones or Windows devices. Print using Albert's printer or send tickets to an external printer. Manage tabs with menu items. Albert runs version 4.0.x of the Android operating system also known as "Ice Cream Sandwich". It has various security enhancements applied and requires Apps to comply with SEAndroid restrictions before being allowed on the App bank. A vintage CBA money box along side the new Albert terminal.